The tooling costs for special dip moulded products is one of the most attractive features. 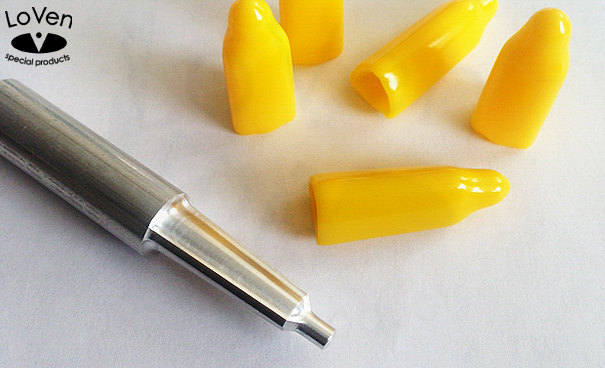 Even for mass production, the costs for dip moulding remain low when compared to other methods. 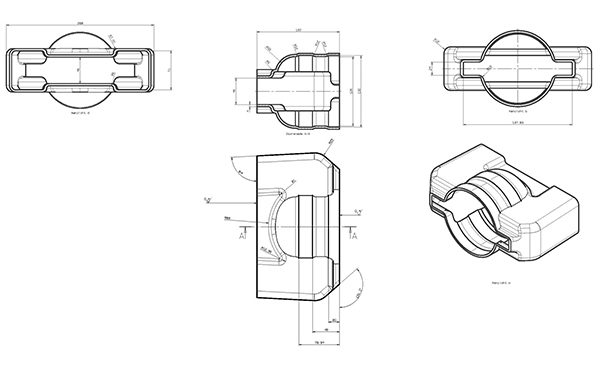 Moreover, elapsed times from design to final product are many times less than, for instance, for injection moulding. Moulds are generally made from aluminium. 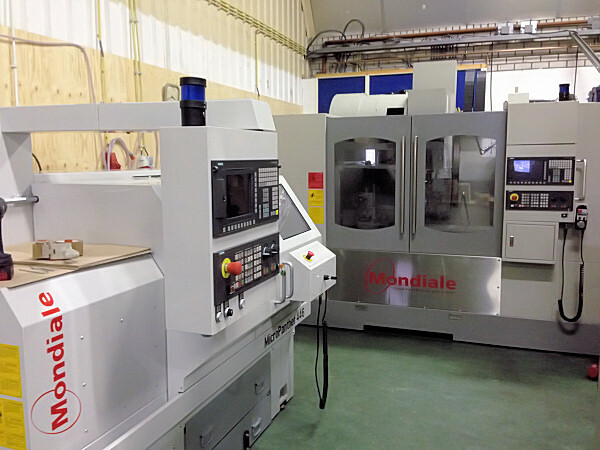 We can easily produce both simple and complex shapes in house on our fully automatic CNC machines. 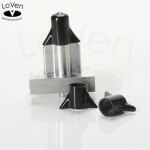 The designer must bear in mind that it takes only a very short time to make a prototype mould and several product samples. 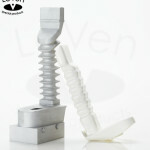 If the design needs changing, this can be achieved quickly and at low cost at the prototype stage. 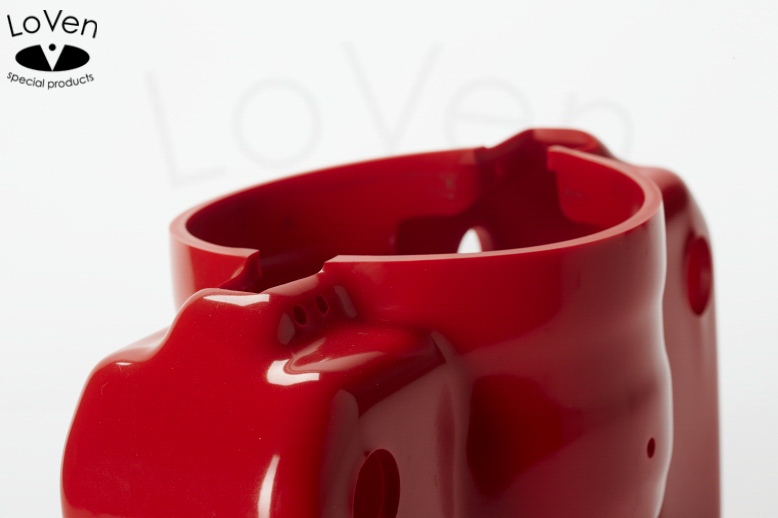 As for all processes, guidelines must be adhered to when designing moulds for dip moulded products. 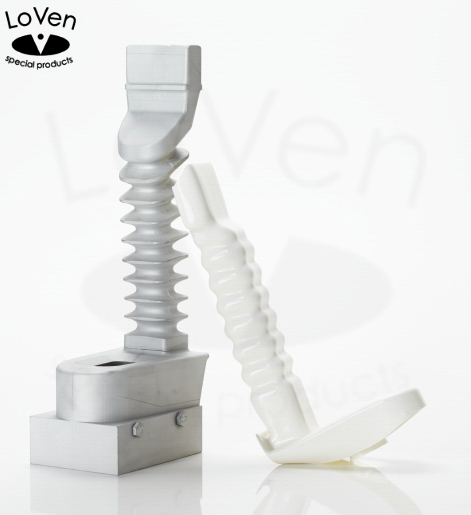 The liquid PVC plastisol cures when it contacts a hot mould. In most cases, when designing the mould, account is taken of the addition of radiuses and release angles to prevent the inclusion of air. 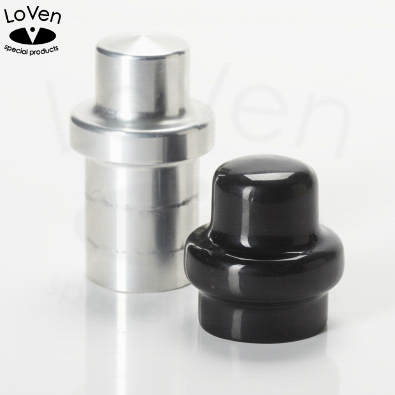 The inclusion of these types of specific characteristics for dip moulds contributes to a uniform and high-quality product. 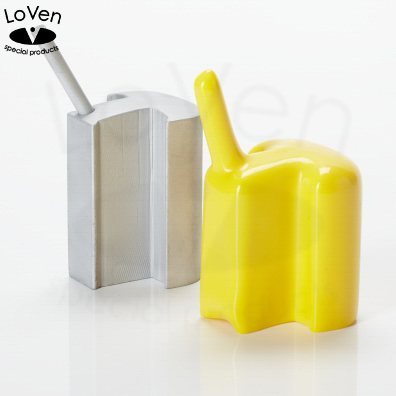 LoVen has built up considerable expertise in the design and production of dip moulds. We offer a fast and efficient service in our well-equipped workshop.